CAT 2014 Exam Results will be Announced on December 27,2014 in Evening hours.Every Education Geeks are Waiting For The CAT 2014 Results.The Indian Institute of Management Said Earlier About CAT Results will be declare in the December 3rd week. The candidates are hopeful that the CAT Centre 2014 will also publish the process of score normalization along with the declaration of the CAT 2014 result.1.75 Lakh People Waiting For CAT 2014 Results . 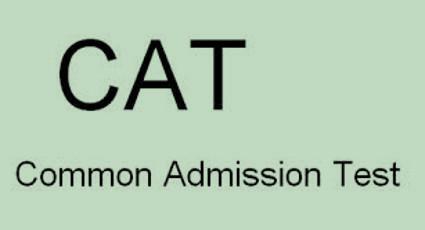 CAT(Common Admission Test) 2014 is for the Admissions of IIM’s And B.Schools(B).These Are For MBA Education.Depends on CAT 2014 Results Carrier will be set. CAT entrance test is very toughest to grab the exam.for geting admission in top IIM’s Good Percentage is important.All The Best For Who Have Attempted .CAT is For the Joining to MBA/PGDM Courses In TOP B.Schools and IIM’s. Apart from the Indian Institutes of Management (IIMs), CAT 2014 is also a mandatory entrance examination for several other leading institutes like Kirloskar Institute of Management, MICA Ahmedabad, Nirma Institute of Management, S.P. Jain Institute, TAPAI etc. The much awaited CAT Results 2014 will be announced on December 27, 2014. Candidates can view their CAT Results through this website, with their username, password and roll number. The CAT Scorecard 2014 will be valid between till December 31, 2015. In 2014, CAT students will have greater opportunity for admission into the IIMs as another 115 seats have been added for B-School Admissions, bringing the total to 3,335 seats. The number of women appearing for CAT has been steadily increasing, as well — from 53,700 in 2010 to 56,000 in 2011. For 2012, more than 60,800 women appeared for the CAT. Additionally, female aspirants are achieving better success on the CAT, with 255 women scoring higher than the 99 percentile.